I may well be a bit late with this and apologies for that but as I’ve done in previous elections, here’s a live open blog for you to feed back observations on turnout and any other shenanigans in Tower Hamlets (and Newham?) today. And thoughts on candidates and voting tactics. All quiet in Canning Town and Custom House, in the sense that only Labour campaigners are visible. on May 5, 2016 at 8:01 pm You couldn't make it up! Very quiet at the polling station I visited late lunchtime. Absolutely no “persuaders” outside. New routine of no folding of ballot papers and sliding them into the ballot box. My understanding is that if anybody who has not used their postal ballot presents themselves – with their unused ballot paper – at the polling station they can still vote. Labour are happy with the turnout in LBTH, which they expect to be in the high 30s – and around 46% at the St James polling station in Bethnal Green. St Paul’s on the Highway was very quiet at 11am. Local beat bobby in attendance throughout – there was about 7 people voting in the 40 minutes I was outside the venue. Just logging-on to ensure I receive a copy of all postings. Bonner St. polling station very quiet , though it was after 9 pm when I got there. Not a single canvasser around , just a lone policeman. Think this shows a poor work ethic on the part of our would be representatives. All was quiet(ish) at my polling station around midday. One lone and disinterested Policeman on duty. No street canvassers. Man before me was complaining because he was not on the voters list. He was taken to one side and enquiries were being made. Initially I was told I could not vote even though I had my voting card. When polling clerk looked at the right page he found my details and all was well. on May 6, 2016 at 11:05 am You couldn't make it up! Currently 35% scanned and 28% verified as at 11:00am. Unmesh Desai is way out in front for City and East and looks unbeatable. Greens are in third place. on May 8, 2016 at 4:13 pm You couldn't make it up! I’m guessing it gave Oona King some sweet satisfaction to tweet this on Friday. Is this the end of George Galloway? After all it certainly wasn’t the end of Oona King back in 2005! 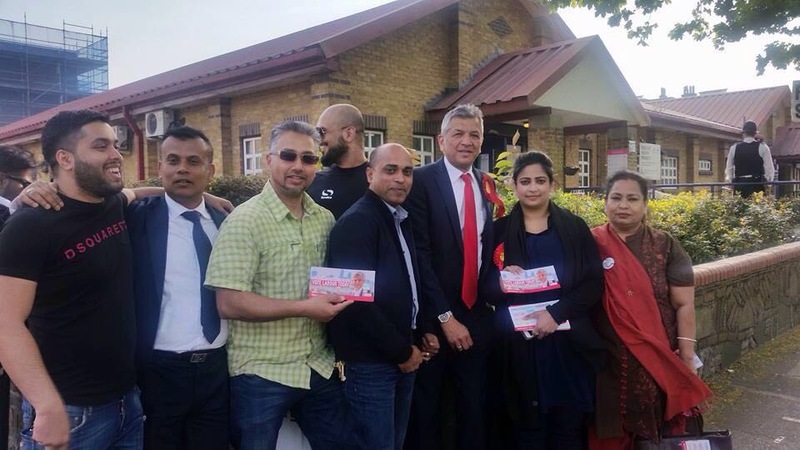 If the sharia law supporting Abjol Miah is a fervent fan of Sadiq Khan (which it seems from this pic that he clearly he is) then I’m really fearful for the future of this country. No-one knows whether it is the end of George Galloway. However, in City & East he was less popular than Spoilt Papers.